Sorry for the delay in blog posts, readers. I have been extremely busy recently – with a number of job interviews! One of them, in fact, turned out to be successful and I am now officially an Editorial Assistant! However, this won’t stop me maintaining this blog. I am passionate about books and will continue to write about them. So, onwards and upwards for me! Yep. Another one with a long title. 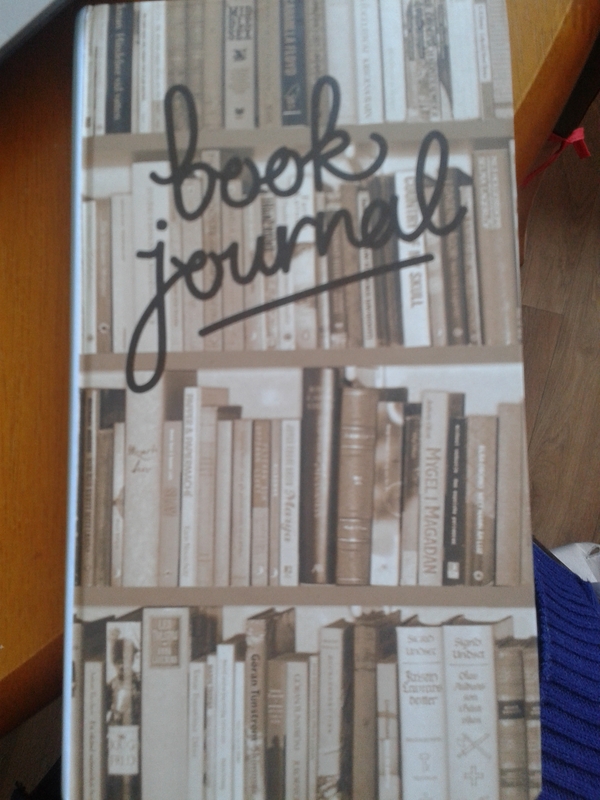 I now have a book to write all my book reviews notes in as I go along. Result! 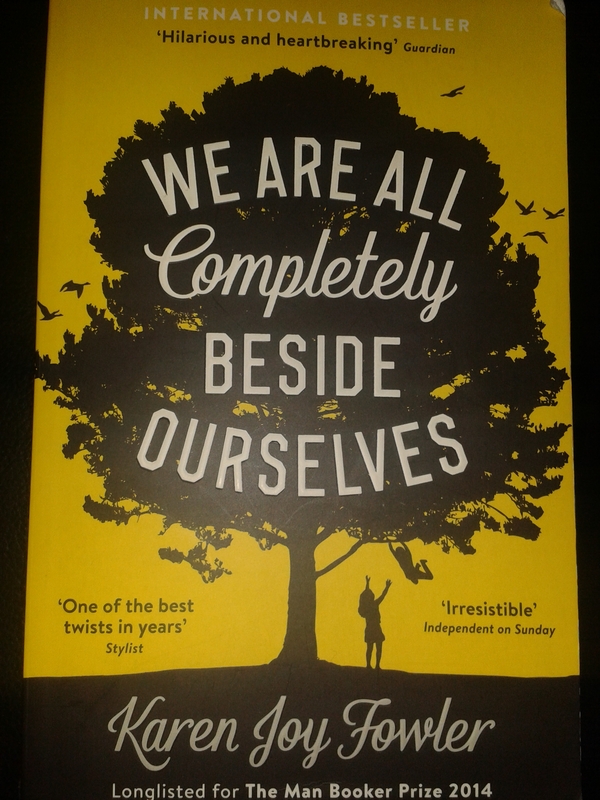 While I’m more inclined to buy and try books that aren’t necessarily in the charts and/or might benefit from a little more exposure, I loved the sound of We Are All Completely Beside Ourselves and I just couldn’t put it down and buy another instead. So it became my little companion on my four-hour trip home to Hull. I also really want to publish a book review for a book that didn’t win me over completely, as I want to show that I actually do have an opinion other than ‘OH MY GOD HOW FABULOUS WAS THIS BOOK?’, but unfortunately…that’s not going to happen this time either. I absolutely adored this novel. The great thing about this book is that I actually can’t spend time writing out the plot for you (which seems pointless to me anyway) as it would completely ruin the twist (and also, as the front cover hosts a quote which says “‘One of the best twists in years'” I am not spoiling it for the reader when I tell you that there’s a twist). All I can do is tell you what the book did for me, and why you absolutely need to buy a copy and start reading it straight away. Rosemary is growing up and has finally made it to college. However, she struggles to commit herself to the future when she has so many unresolved issues and unanswered questions lurking in her past. She knows that her psychologist father used her childhood as an experiment. She has almost forgotten some things, and continuously represses others. She hasn’t seen her older brother Lowell in ten years, and her sister Fern disappeared when Rosemary was five years old. She cannot move forward with her life until she goes back, until she finally understands what happened all those years ago. We Are All Completely Beside Ourselves is a novel which concerns itself with child and adult psychology, the difficulties in identifying real and false memories, and the art of storytelling. It explores language and how it can shape human perception. It is both hilarious and heartbreaking at the same time. The novel begins with the narrator insisting that she will “Skip the beginning” and “Start in the middle.” This becomes a theme and technique throughout the book, to highlight to the reader that the exact same story can be retold in different ways in order to glean information that will help form a good understanding of Rosemary’s life story. As the novel moves along, we realise that Rosemary is on a path of discovery just as we are. As she retells her story from different perspectives, she begins to remember facts and events that she has long ago forgotten or repressed. She explores how language and the retelling of stories can affect how a person remembers events themselves. She shows how an event can change from what it once was to what the person wishes it to be, and how false memories can affect a person’s outlook on life. Rosemary often refers to human psychology and development throughout the book, and her outlook is largely influenced by her father, who is a psychologist and scientist. She often disagrees with her father’s methods or opinions, but she can’t quite help exploring her world and the world around her through scientific studies and experiments. Perhaps that is what seems normal to her, although she wishes this wasn’t the way things were for her and her family. You can almost feel Rosemary’s internal struggle. The reader sympathises with her attempts to fight her instincts and behaviours which she formed due to her father’s treatment of her and her siblings as they were growing up. The novel deals with sibling love and rivalry in a way that I’ve never experienced before. It demonstrates the fragility of human nature and how difficult it is to trust your own memories and your own perceptions. It encourages you to come at stories from a number of different angles, and to form your own understanding. It prompts you to think differently about your own behaviours and perceptions of your own world. It is fresh, breathtaking, and utterly unique. I fell in love with this book. There is no wonder that it was longlisted for the Man Booker prize this year. I have a number of friends and family members who want to try it. I suggest they buy copies because it will take a number of readings, and each one will be different. I suggest you do the same too. Follow the publisher Serpent’s Tail on Twitter here. Karen Joy Fowler’s website is here.